Article states: “Iran’s oil minister has said the ministry would welcome an emergency OPEC meeting, but that Iran will not limit its oil production to retain its share of the oil market. 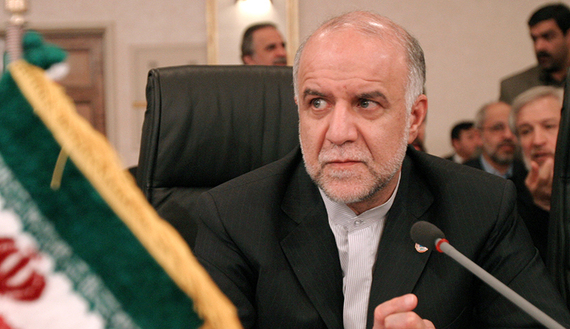 Iran’s Oil Minister Bijan Namdar Zanganeh attends the 135th meeting of the Organisation of Petroleum Countries (OPEC) conference in Isfahan in central Iran, 340km (211 miles) south of the capital Tehran March 16, 2005. OPEC will add an actual volume of 500,000 barrels per day to the market in April, OPEC President and Kuwaiti Oil Minister Sheikh Ahmad al-Fahd al-Sabah said on Wednesday.